I'm trying to sell some of my Bitcoin, and the whole process is so terrible, it's almost hilarious. Markets are driven by fear and greed. Hence Bitcoin will be a roller-coaster, and is not for the faint-hearted! Judging by the current (lack of) price action and newsflow, it appears most of the City must have had their Christmas parties last night! Seemingly Labour is considering relocating most of the Bank of England (The Old lady of Threadneedle Street) to Birmingham if it wins power at the next general election. They have recommended moving “some functions” to Birmingham, to be located “next door or close to” the National Investment Bank and Strategic Investment Board, organisations that Labour plans to create on entering government. Labour’s policy review will include whether the governor should also be based in Birmingham. “All three, side-by-side, would constitute a new ‘economic policy’ hub,” said an interim report by consultants GFC Economics and Clearpoint Corporation Management. The report suggested moving the BoE’s premises “close to” Birmingham’s main train station, saying a relocation would “provide a clear, visible example of a new government’s determination to promote growth and a rebalancing of the economy”. Well this is all very well and tokenistic. However, given that McDonnell's first act (if Labour gain power) would be to take over the Bank and remove its independence, moving it away from its main stakeholders (ie the Labour government) seems a tad stupid. Whilst we are on the subject, given that Unite's head office is in Holborn, whilst Unison, TSSA and the RMT are all headquartered in Euston; will Labour ask them to relocate as well? RBS/NatWest closing 259 branches. Is one in your town? Check list here https://t.co/W4R6kPQVUb and Lloyds/Halifax/Bank of Scotland announced 49 more closures on top of 100 earlier this year. Email your thoughts to moneybox@bbc.co.uk or tweet me. The Telegraph reports that the Royal Bank of Scotland could be on course for its first full-year profit since its £45bn state bailout at the height of the financial crisis, after posting a third successive quarter of profits. RBS posted £392m in profits for the three months to September and £1.33bn for the year to date. 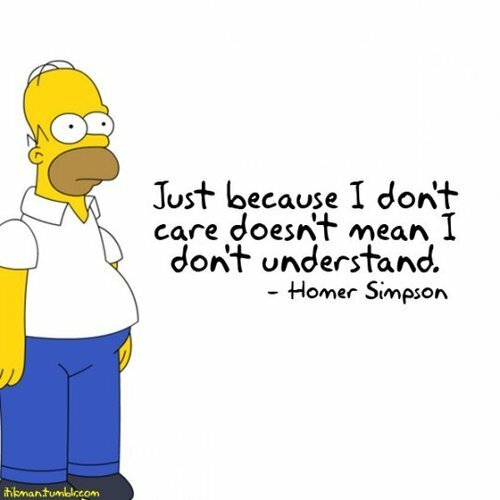 However, there is a down side. RBS is still waiting to see if it will be fined by the DoJ for selling subprime mortgages. The fine is expected to be around £6BN. The ONS state that UK gross domestic product (GDP) was estimated to have increased by 0.4% in Quarter 3 (July to Sept) 2017, a similar rate of growth to the previous two quarters. Additionally manufacturing returned to growth after a weak Quarter 2 2017, increasing by 1.0% in Quarter 3 2017. As from today, owners of older, dirtier cars will be charged an extra £10 if they want to drive into London. 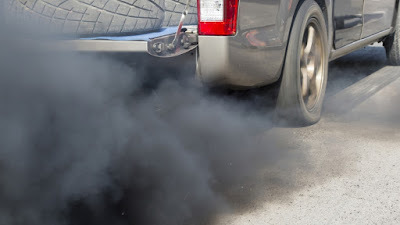 Saddiq Khan, Mayor of London, announced the "Toxicity charge" in February as part of a package of measures to clean up the capital’s "filthy air". The "T-charge" will be in operation Mondays to Fridays from 7am to 6pm. UK unemployment fell by 52,000 in the three months to August to 1.4 million, leaving the jobless rate unchanged at 4.3% from the previous quarter - still at the lowest level since 1975. There were 32.10 million people in work, 94,000 more than for March to May 2017 and 317,000 more than for a year earlier. The employment rate (the proportion of people aged from 16 to 64 who were in work) was 75.1%, up from 74.5% for a year earlier. There were 1.44 million unemployed people (people not in work but seeking and available to work), 52,000 fewer than for March to May 2017 and 215,000 fewer than for a year earlier. It should be remembered that the figures are provided by the same ONS that lost £490BN in Britain's balance of payments! As from 15 October the old round sided pound coin ceases to be legal tender. Rules coming into force on that date will prevent shops handing out old £1 coins as change and will give shops the right to refuse them as payment. However, there is no rule preventing shops (which are able to bank old £1 coins long after this date) accepting the coins after 15 October. Monarch Airlines ceased trading early on Monday, leading to nearly 1,900 job losses and the cancellation of all its flights and holidays. The collapse of the 50-year old company is the largest ever for a UK airline. Bitcoin will eventually blow up, says JPM's Dimon at Barclays conference. "It's a fraud." It's "worse than tulip bulbs." As per the BBC about 143 million US customers of credit report giant Equifax may have had information compromised in a cyber security breach. Equifax said cyber-criminals accessed data such as Social Security numbers, birth dates and addresses during the incident. Some UK and Canadian customers were also affected. The firm's core consumer and commercial credit databases were not accessed. Equifax said hackers accessed the information between mid-May and the end of July, when the company discovered the breach. Malicious hackers won access to its systems by exploiting a "website application vulnerability", it said but provided no further details. The hackers accessed credit card numbers for about 209,000 consumers, among other information. Equifax said it had set up a website - www.equifaxsecurity2017.com - through which consumers can check if their data has been caught up in the breach. Many people trying to visit the site reported via social media that they had problems reaching it and that security software flagged it as potentially dangerous. Unsurprisingly shares in Equifax took a hit. An excellent idea, and well within keeping with Estonia's desire to be at the cutting edge of IT. However, I do hope that the Estcoin is impervious to the inevitable attempts by Russia to hack it! Without a doubt, this is the most ridiculous financial advert I have ever seen. No wonder the FCA disabled the comments section! This will run and run! "The unemployment rate (the proportion of those in work plus those unemployed, that were unemployed) was 4.4%, down from 4.9% for a year earlier and the lowest since 1975." Additionally, the employment rate (the proportion of people aged from 16 to 64 who were in work) was 75.1%, the highest since comparable records began in 1971. Though CPI holds at 2.6%, retail price index rose to 3.6%. Rail fare rises linked to outdated RPI. Why? British Gas will increase electricity prices by 12.5% from 15 September, its owner Centrica has said, in a move that will affect 3.1 million customers. Gas prices are unchanged, but the average annual dual-fuel bill for a typical household on a standard tariff will rise by £76 to £1,120, up by 7.3%. Centrica said the rise was a result of transmission and distribution costs and the costs of government policy. Methinks that British gas will continue to lose customers! Growth in Q2 was 0.3%, significantly better than the Treasury's doom and gloom forecast borne out of Project fear! The growth in Quarter 2 2017 was driven by services, which grew by 0.5% compared with 0.1% growth in Quarter 1 (Jan to Mar) 2017. The largest contributors to growth in services were retail trade, which improved after a fall in the first quarter, and film production and distribution. As from January next year, businesses will not be allowed to add any surcharges for card payments. This follows a directive from the European Union, which bans surcharges on Visa and Mastercard payments. However, the government has gone further than the directive, by also banning charges on American Express and Paypal too. 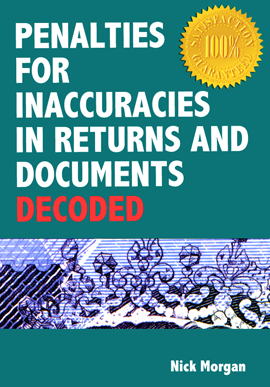 This covers all companies and organisations that add a surcharge, including HMRC! You can bet your bottom dollar that companies will find another way to pass on the charges. The ONS reports that the Consumer Prices Index (CPI) 12-month rate was 2.6% in June 2017, down from 2.9% in May 2017. This is the first fall in the CPIH inflation rate since April 2016, and was caused primarily by falling prices for motor fuels and certain recreational and cultural goods and services. This means that there will be no increase in interest rates in the foreseeable future. The G20 is now the G19 as America has placed itself into isolation. Does this mean that all debts held during this period will be interest free? 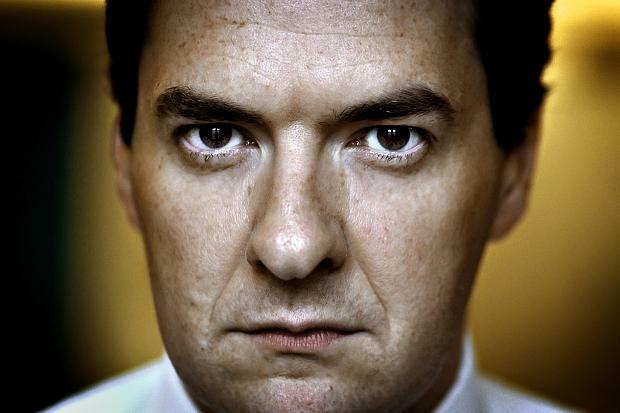 Osborne doing his bit to maintain full employment. "There are 10 million people in 6,000 “defined benefit” pension schemes in Britain. Most of them will get the pensions they expect in full – but not all. If the companies behind these schemes are financially strong enough still to be in business when the pensions come to get paid, then all is well. However, around 1,000 schemes, possibly with as many as 1.7 million members, are in a very precarious position with financially weak companies behind them or large deficits - sometimes both. Their members face a real and current risk that their companies will go bust. If this happens their scheme will almost certainly fall into the Pension Protection Fund (PPF). This will ensure that they still get a pension, but it will be lower, at around 90pc of what they were expecting." A pension is meant to cover you from retirement through to death, which may be 30 years or so from the date of retirement. How the hell can anyone predict what the world will look like 30 years from now? 50 years ago today the world's first ATM was unveiled at a Barclays branch in Enfield, London. 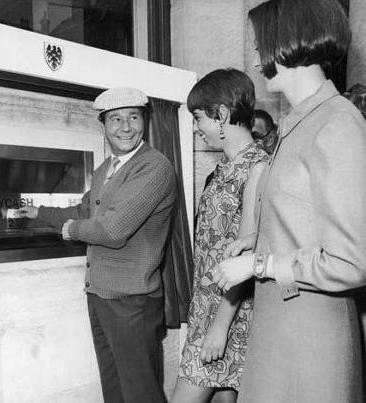 Reg Varney, a celebrity of the time, made the first withdrawal. The EU said Google had broken EU competition law by exploiting the power of its search engine to promote its online shopping service, at the expense of other price comparison sites. This analysis couldn't be more wrong wrt "paralysis", there will be black swans aplenty coming! 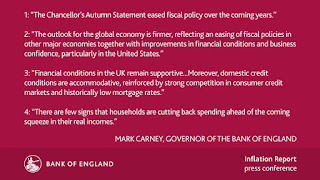 The time is not right for an interest rate rise, Bank of England Governor Mark Carney has said. Citing falling wage growth and Brexit uncertainty. "Before long, we will all begin to find out the extent to which Brexit is a gentle stroll along a smooth path to a land of cake and consumption." A wee barb there methinks! As per the ONS the unemployment rate for people for the latest time period, February to April 2017, at 4.6%, was the joint lowest since 1975. Inflation as measured by CPI is ow 2.9%, expectations were around 2.7% (which was the previous month's level). The Halifax report that the annual rate of house price growth is continuing to slow. In the year to May house price inflation fell to 3.3%, down from 3.8% in the year to April. Over the last three months there has been virtually no change in prices, the Halifax said. Since March property prices have fallen by 0.2%. This was only the second quarterly drop since November 2012. However between April and May, prices actually rose by 0.4%. Exuberant property bubbles always burst, a gradual slowing is far better than a sudden collapse. It seems that reports last week of a settlement being agreed between RBS and shareholders, thus negating the expected court appearance of a.o. Fred Goodwin, were premature. The FT reports that the RBS Shareholders Action Group, which represents thousands of individual investors, secured a £2m deal with high net worth funders on Monday night, taking their total funding pot to about £7m to cover the cost of the trial, according to shareholder Neil Mitchell. Mr Mitchell said that the claim is “now fully funded” and that “claimants are willing to proceed to trial”, which is set to begin on Wednesday. It seems the desire to see Goodwin take the stand outweighs mere monetary gain. A number of investors recently told the Financial Times they were unwilling to settle because they wanted to see Goodwin, who was stripped of his knighthood in 2012, held to account and for the “truth” to emerge. Greek Finance Minister Euclid Tsakalotos has said that Europe has a moral obligation to grant Greece some form of debt relief, and the International Monetary Fund needs to make up its mind whether it will join the country's bailout. However, the fact that Greece has gone through financial hell as a result of its dishonesty/stupidity and the stubbornness of the EU/IMF, I wouldn't bet any money on the IMF or Europe coming round to Mr Tsakalotos's viewpoint any time soon! RBS has reached a last-minute deal worth about £200 million with thousands of investors who claim they were misled during the bank's 2008 rights issue shortly before a government bailout wiped out its share price. In a letter to shareholders released Monday, the RBoS Shareholders Action Group recommended accepting the deal for 82 pence per share, below its previous damages range of 92 pence per share to 234 pence per share. The group is the last of five sets of shareholders still pursuing claims that the bank misled investors with its £12 billion rights issue during the 2008 financial crisis, before the £45 billion government bailout wiped out RBS' share price. A trial had been set to begin in late May but was repeatedly postponed after RBS made the 82 pence per share offer on May 20. "Until this offer was made, we were not satisfied that previous offers proposed by the bank were close enough to what may be considered an acceptable amount, bearing in mind our legal team's advice as to the true merits of the case. In contrast, we did consider that the offer of 82p per share, being almost double that of the bank's previous offer, to be worth serious consideration." This of course means that Fred Goodwin will not be appearing in court. Moody's has downgraded China's long-term local currency and foreign currency issuer ratings by one notch to A1 from Aa3, with the outlook falling from stable to negative. 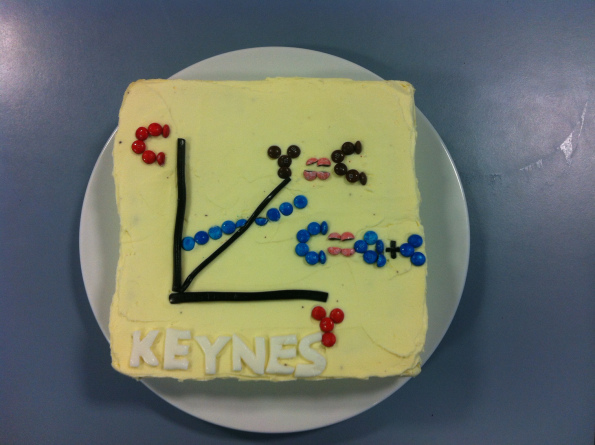 The downgrade will lead to increased borrowing costs. As such, it is not surprising that China's finance ministry said Moody's was exaggerating the mainland's economic difficulties and underestimating reform efforts. Moody's said in a statement that the downgrade reflected expectations that China's financial strength would "erode somewhat over the coming years, with the economy-wide debt continuing to rise as potential growth slows". Ironically, the Chinese economy expanded by 6.7% in 2016 compared with 6.9% the previous year, the slowest growth since 1990. Other countries would kill for that level of growth! Reuters reports that Fred "The Shred" Goodwin (ex boss of RBS and ex knight of the realm) will appear before disgruntled investors in court next week. He will become the first senior banker in Britain to be challenged in court over his role in the financial crisis. A civil trial brought by thousands of RBS investors opens on Monday, alleging the banks' shareholders were misled by Goodwin and other former executives over the bank's financial health ahead of a £12BN cash call in 2008. Don't expect any dramatic revelations though! The BBC have managed to shoot holes in HSBC's claims that their voice recognition system is secure. BBC Click reporter Dan Simmons set up an HSBC account and signed up to the bank's voice ID authentication service. HSBC says the system is secure because each person's voice is "unique". However, HSBC let Dan Simmons' non-identical twin, Joe, access the account via the telephone after he mimicked his brother's voice. The bank said it would "review" ways to make the ID system more sensitive following the BBC investigation. HSBC introduced the voice-based security in 2016, saying it measured 100 different characteristics of the human voice to verify a user's identity. Customers simply give their account details and date of birth and then say: "My voice is my password". Although the breach did not allow Joe Simmons to withdraw money, he was able to access balances and recent transactions, and was offered the chance to transfer money between accounts. To add insult to inury, HSBC allowed him seven attempts to mimic his brother's voiceprint and get it wrong, before he got in at the eighth time of trying! UK unemployment rate has fallen to 4.6%, its lowest in 42 years. The ONS reports that the number of people unemployed fell by 53,000 to 1.54 million in the three months to March. Average weekly earnings excluding bonuses increased by 2.1%. There were 31.95 million people in work, 122,000 more than for October to December 2016 and 381,000 more than for a year earlier. The employment rate (the proportion of people aged from 16 to 64 who were in work) was 74.8%, the highest since comparable records began in 1971. So much for Project Fear! Trump's Solution For A Strong Dollar - Himself! The UK's inflation rate rose last month to its highest since September 2013. ONS figures show that inflation now stands at 2.7% - up from 2.3% in March - and above the Bank of England's 2% target. Higher air fares were the main reason, which rose because of the later date of Easter this year compared with 2016. This is not yet a major concern, as the Bank of England are expecting inflation to peak at around 3% this year. Reuters reports that JPMorgan Chase has agreed to buy a Dublin building with room for 1,000 staff in the first sign of a financial services firm expanding significantly in Ireland since the government began a major campaign to attract firms in the wake of Brexit. JPMorgan will acquire a 130,000 square foot (12,000 square meter) building at the Capital Dock development in Dublin's docklands. "This new building gives us room to grow and some flexibility within the European Union," senior country officer for J.P. Morgan in Ireland Carin Bryans said. Unsurprisingly the much vaunted Greek bailout deal is no nearer fruition. The IMF is dragging its heels. The Fund’s managing director, Christine Lagarde, said that she expects eurozone lenders to be “far more specific” in their commitment to a debt-relief package for Greece. “We will carry on working on this debt relief package. There is not enough clarity yet but I hope that the European partners will continue to progress in that. In other words, the Quadriga and Greece are still nowhere near a deal. The Telegraph reports that figures from Mortgage for Business, the specialist broker, show average fixed-rate deals reversed the rate cuts made in March. The average two-year fixed term loan was 2.9pc in April, up from 2.86pc in March. Three-year deals rose from 3.53pc to 3.56pc, while the average five-year buy-to-let mortgage went from 3.74pc to 3.76pc. It is the first time buy-to-let rates have increased this year, and the first time three-year fixed mortgages have risen since April 2016. However, the average tracker mortgage fell, from 4.85pc to 4.74pc in April. It would appear that mortgage providers are using the increases in buy-to-let rates to offset reductions in rates offered to residential customers. Despite the fact that house prices (year on year) have increased by 3.8%, the Halifax has released figures that show that house prices are "stagnating" and have actually fallen in the last three months. As per the BBC in the three months to April, prices fell by 0.2% - the first quarterly fall since November 2012. However, for the year to April, prices rose by 3.8%, the same figure as in March. The average cost of a house or flat at £219,649. It seems that the reason for the "stagnation" is the fact that prices (when compared to salaries and mortgages) are hitting the ceiling of affordability. Given the poor performance of Greece wrt meeting targets and forecasts, why are people deluding themselves about the chances of a bailout deal being agreed? 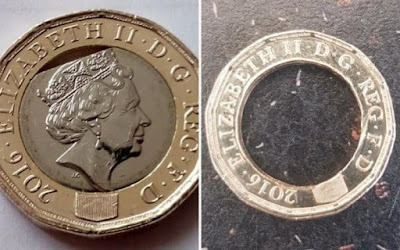 Oh dear it appears that the new £1 coins, that are allegedly forgery proof, have one small defect. It seems that thousands of new £1 coins have been produced with major flaws that have seen the centres fall out. Owners of £1 coins with centres missing have been putting them up for sale on eBay, with some reportedly selling for almost £2,500. Further to my earlier post about problems with the NatWest app, and issued with the online system. Having first stated that the online system was still working, Nat West now admit that there are problems wrt transfers. We are aware of some issues with completing transfers on accounts, we are working hard to fix this. Sorry and thank you for your patience. The NatWest banking app crashed this morning, and is still out of action. NatWest have stated that they are working on the issue, and claim that the online system is working. However, having had several unsuccessful attempts to login and access the payments section, I tried to transfer money from one account to another and whilst the money was debited from one it has not been credited to another. A Southern Rail staff member lobbed a bucket of water over a protesting vegan who had written on the ground in chalk at Polegate station. Alexis Tsipras, Greek prime minister, insists that Greece will legislate additional tax and pension reforms demanded by the Quadriga. However, no legislation will be passed until a deal on debt relief was in place. Notwithstanding this, Tsipras is confident that a deal to be wrapped up by May 22. How many times have people expressed "confidence" that a deal for Greece would be "wrapped up"? Delusion at the very height of government! As from May 6 paper fivers will not be able to be used in shops, cafes and restaurants. 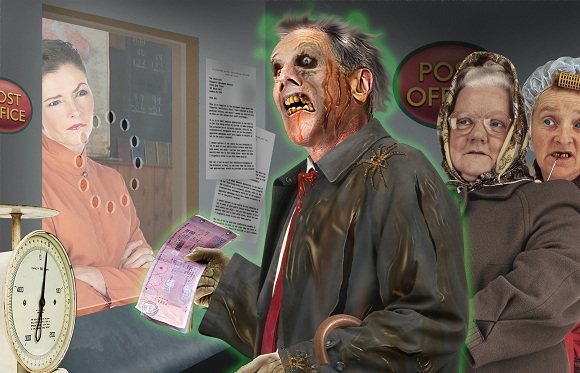 Banks, building societies or post offices will usually exchange them after this date. If they refuse, the notes can still be exchanged with the Bank of England in London by post or in person. The Telegraph reports that the Government borrowed £52bn in the last financial year, a fall of £20bn compared to the year before, as the long struggle to eliminate the deficit moved closer towards its goal. That amounts to 2.6pc of GDP, the lowest level of borrowing since 2007-08. The fall in the deficit is bigger than analysts forecast a year ago by the Office for Budget Responsibility. For why are the figures better than forecast? Strong economic growth, unexpected by the fear mongers! Whatever the outcome of the election, and whoever ends up trying to "manage" events, nature will take its course and the politicians will prove powerless to stop it. Thus make your financial decisions without delay and procrastination. Don't dither and don't look for excuses for delay! UK retail sales posted their biggest quarterly fall in seven years in March, as the prices of everyday goods continued to climb. Sales were down 1.4% year-on-year on a quarterly basis, and down 1.8% compared with February 2017, according to the Office for National Statistics (ONS). Those of you on Virgin Media will have been unable to access Facebook for at least the last two hours, as there is a technical glitch which Virgin have yet to resolve. Toshiba files delayed financial results without auditor approval! Or do we have to call security to remove you? Following the acquittal of two former Barclay's traders last week, Panorama asks if the right people are being blamed for what has been called the biggest financial fix of all time. Piecing together explosive new evidence, which calls into question the safety of other convictions, Panorama reporter Andy Verity reveals that manipulation of the world's most important interest rate, Libor, was allowed and even ordered by people at the highest levels of the financial establishment. 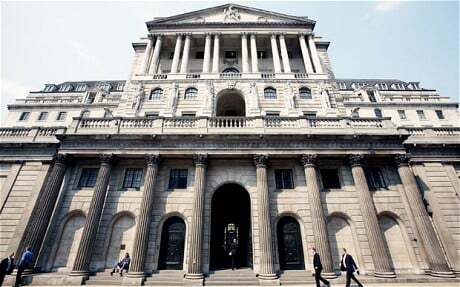 A secret recording that implicates the Bank of England in Libor rigging has been uncovered by BBC Panorama. The 2008 recording adds to evidence the central bank repeatedly pressured commercial banks during the financial crisis to push their Libor rates down. In the recording, a senior Barclays manager, Mark Dearlove, instructs Libor submitter Peter Johnson, to lower his Libor rates. He tells him: "The bottom line is you're going to absolutely hate this... but we've had some very serious pressure from the UK government and the Bank of England about pushing our Libors lower." Mr Johnson objects, saying that this would mean breaking the rules for setting Libor, which required him to put in rates based only on the cost of borrowing cash. Mr Johnson says: "So I'll push them below a realistic level of where I think I can get money?" His boss Mr Dearlove replies: "The fact of the matter is we've got the Bank of England, all sorts of people involved in the whole thing... I am as reluctant as you are... these guys have just turned around and said just do it." It is of course convenient for banks to blame others (eg the Bank of England). BoE: "The Bank of England will be withdrawing legal tender status of the paper £5 note on 5 May 2017"
Last week I warned people not to believe the hype over the alleged progress and agreement on the Greek bailout talks. As can be seen, I was right to issue that warning. 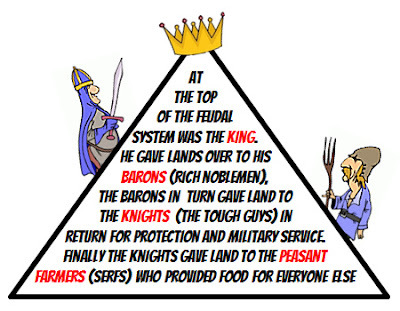 Greece is unwilling and incapable of implementing the reforms that the Quadriga are demanding. Greece’s beleaguered banking system has taken a fresh hit from the country’s shaky bailout talks this year, registering its worst deposit outflows since the height of its debt crisis in the summer of 2015. The FT reports that the latest figures from the European Central Bank showed households and businesses pulled €1.1bn from the country’s lenders last month, moderating from the €1.7bn withdrawn at the start of the year but marking the worst two-monthly outflow since the country was bought to the brink of a eurozone exit nearly two years ago. There is no sign of agreement between Greece and the Quadriga wrt the bailout. 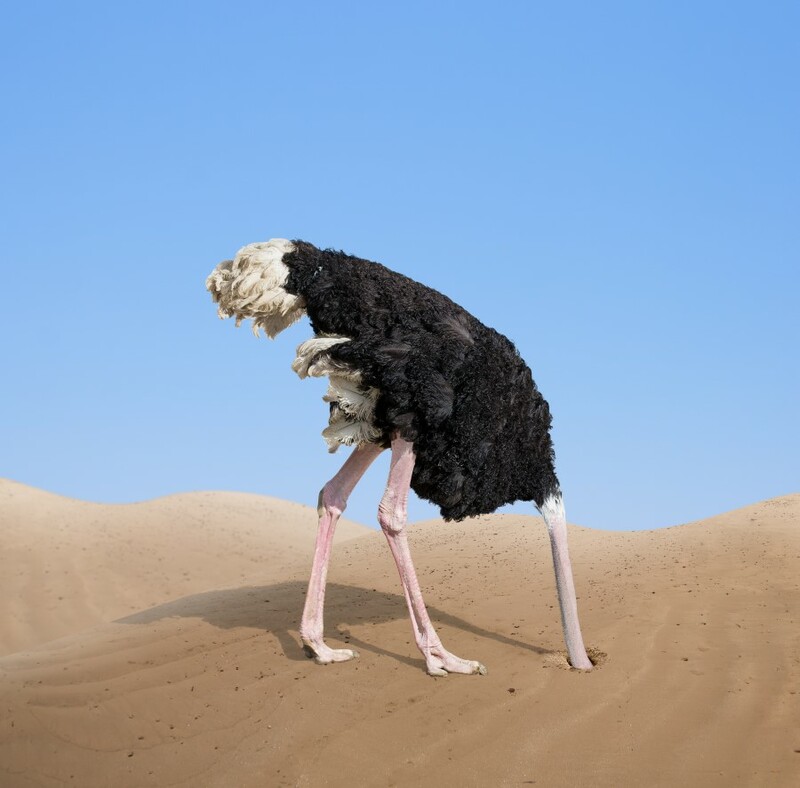 Indeed there is no sign of agreement between the IMF and other members of the Quadriga over the terms of the bailout! Retail sales last month rose 3.7% compared with February of 2016, the Office for National Statistics said, and were up 1.4% on January’s sales. However, many in the media are looking at the three month data and reporting a decline of 1.4%. Inflation jumped to it highest level for three and a half years in February. Average prices rose by 2.3pc in February, from 1.8pc in January. This was higher than the 2.1pc predicted by economists, and was driven by price rises for food and fuel and the weakened pound. Right on cue the siren sound of people calling for an increase in rates. Not so fast though, any rise in rates will adversely hit economic activity and increase unemployment. There will be no rush to raise rates anytime soon! Unemployment fell to its joint lowest level since 1975. Joblessness dropped to 4.7pc, down from 4.8pc a month earlier and from 5.1pc in January 2016, according to the Office for National Statistics. Following recent events, Charlotte Hogg yesterday voluntarily offered her resignation. This morning, Court has accepted her resignation with deep regret. Court notes today’s report by the Treasury Select Committee. It is making the following announcements. Senior Management Responsibility for Bank-wide risk management moving from the Chief Operating Officer (COO) to Deputy Governor for Prudential Regulation Sam Woods in his capacity as Chair of the Executive Risk Committee. Mr Woods in turn reports to Court’s Audit and Risk Committee (ARCO) on risk matters. The Head of Compliance reporting to the General Counsel (who in turn reports to the Governor) and the Chair of ARCO, who is tasked with ensuring the independence of the Bank’s compliance function. Senior Management Responsibility for the Code of Conduct will rest with the General Counsel who will ensure the policies under the Code are fully understood and adhered to, and will report on that to the Chair of ARCO. What the Bank should do to ensure full and timely compliance now and in future, especially amongst senior members of the Bank. The Bank will make the findings and recommendations of this review public. The review by Court’s non-executives will be assisted in the first instance by the Bank’s Independent Evaluation Office, the Internal Audit division and the National Audit Office as appropriate. Unsurprising given that she has lost support of MPs, who stated that her "professional competence falls short" for the role of Deputy Governor of The Bank of England. London Loves Business reports that the average monthly rent for newly let properties has fallen for the first time since late 2010, according to figures from Countrywide. The fall is due to an increase in supply of properties, because some landlords were in a hurry to buy properties last year before a three per cent stamp duty surcharge came about. The average new tenancy in England, Scotland and Wales fell by 0.6 per cent in the year to February, to £921 a month. As ever, when the state tinkers with taxes there are consequences. "Stable" implies something to be happy about. A 23% unemployment rate is nothing to be happy about, most especially as it shows no sign of improving! Oh irony of irony, the EU is finally waking up to the fact that the best way to survive may in fact be to revert to its past; namely to become a single market (what once was called the "Common Market"). "THE EUROPEAN UNION IS GRADUALLY RE - CENTRED ON THE SINGLE MARKET. In a scenario where the EU27 cannot agree to do more in many policy areas, it increasingly focuses on deepening certain key aspects of the single market. There is no shared resolve to work more together in areas such as migration, security or defence. As a result, the EU27 does not step up its work in most policy domains. Cooperation on new issues of common concern is often managed bilaterally. The EU27 also significantly reduces regulatory burden by withdrawing two existing pieces of legislation for every new initiative proposed. The functioning of the single market becomes the main "raison d'être" of the EU27. Further progress depends on the capacity to agree related policies and standards. This proves easier for the free movement of capital and of goods, which continues tariff - free, than it does in other areas." This revelation on the road to Damascus comes in whitepaper on the future of Europe, published by the European Commission and signed off by Juncker. Needless to say, Juncker and his ilk want full steam ahead to full political and monetary union. However, that simply won't happen. In reality, the EU will be lucky to survive even as a "Common Market"! The Ides of March - "Everything Will Grind To a Halt"
“I think what people are missing is this date, March 15th 2017. That’s the day that this debt ceiling holiday that Obama and Boehner put together right before the last election in October of 2015. That holiday expires. The debt ceiling will freeze in at $20 trillion. It will then be law. It will be a hard stop. The Treasury will have roughly $200 billion in cash. We are burning cash at a $75 billion a month rate. By summer, they will be out of cash. Then we will be in the mother of all debt ceiling crises. Tsipras is of the view that Greece's creditors feel that austerity is no longer necessary for Greece. That is wishful thinking in the extreme. The Quadriga will move heaven and earth, and allow Greece to suffer whatever it takes, in order to safeguard the loans made to Greece to date. 1 Encourage supermarkets to open out of town. 2 Impose greedy business rate increases. 3 Impose parking enforcement zones. Kudos to councils and the government for following this above steps to the letter! The Europhiles are celebrating the fact that creditors have agreed to work on new structural reforms in order to be able to provide Greece with more bailout money (7bn euros are needed in the short term). However, what the Europhiles are ignoring in their celebration is the fact that the creditors are in no rush and don't expect any meaningful conclusion (one way or another) before summer. One way or another Greece will sink the euro ship of state. Unsurprisingly, since the withdrawal of the Kraft Heinz takeover bid, shares in Unilever are down by 7% in opening trade in London. Reuters reports that the IMF and Eurozone have finally come to an agreement as to what they will say to Greece today. A meeting between the lenders and Greek officials is scheduled for later today, the head of euro zone finance ministers Jeroen Dijsselbloem said in The Hague. "There is agreement to present a united front to the Greeks," the eurozone official said, adding that the outcome of Friday's meeting with the Greeks was still unclear and it was unclear if Athens would accept the proposals. I think it fair to say that if the IMF and Eurozone really have come to a common stance, then Greece will not like it! Whither The Prophesied Brexit Armageddon? Manufacturing grew strongly Q4, up 1.2% from the previous Q3 -- stronger than poll of economists suggested. British exports to non-EU countries rose 17.3% in Q4. Exports to EU rose 3.5%. Trade balance has narrowed. Ted Malloch, the US ambassador to the EU, expects Greece to leave to euro and suspects that the eurozone's days are numbered. “If the [IMF] will not participate in a new bailout that does not include substantial debt relief, and that’s what they are saying, then that, more or less, ensures a collision course with eurozone creditors. Now we all know that primarily [puts pressure on] Germany, which remains opposed to any such actions, so I think it suggests that Greece might have to sever ties and do Grexit and exit the euro." Suffice to say the EU doesn't want to hear defeatist talk like this, and is collectively whining at full pitch about Malloch's appointment! The International Monetary Fund has warned that Greece’s debts are on an “explosive” path, despite years of bailouts and half hearted economic reforms. This oncoming explosion existentially threatens the eurozone itself. 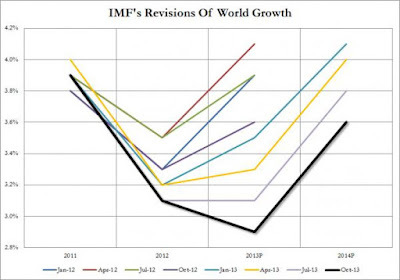 The solution according to the IMF is debt forgiveness. However, as noted many times before on this site, neither Germany nor the other members of the Quadriga (sans IMF) have forgiveness in their hearts. Jeroen Dijsselbloem, the Eurogroup President repeated the mantra saying there would be no Greek debt forgiveness and dismissing the IMF assessment of Greece’s growth prospects as overly pessimistic. 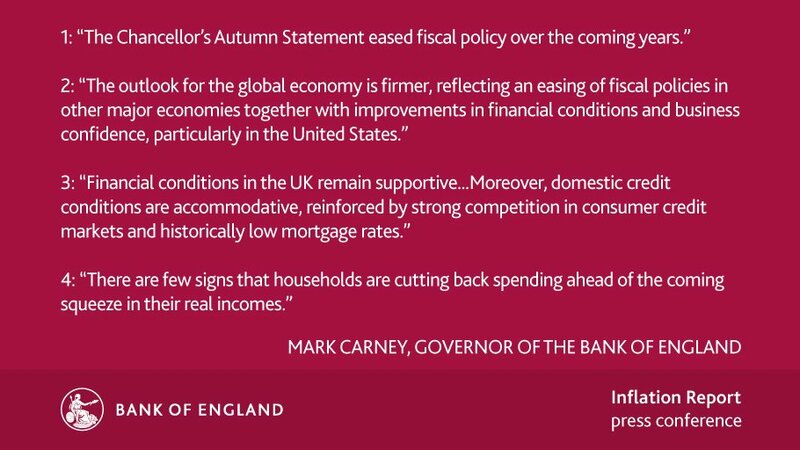 Bank of England raises its economic forecast close to pre-referendum levels. Despite the media's obsession with Trump, there are other issues in the world. One such issue being the ongoing Greek financial crisis, which has not gone away and is not likely to be solved. Those who are optimistic for the chances of a solution should bear in mind that the IMF doesn't think that Greek debt is sustainable and that a write down is required. Germany, however, won't countenance a write down. In short, there are no signs of a solution. Deutsche Bank has been fined in excess of £500m by UK and US regulatory authorities for failures in its anti money laundering procedures. RBS announced on Thursday that it has set aside a further $3.8 billion to cover expected fines from U.S. authorities over its handling of residential mortgage-backed securities in the run-up to the 2008 financial crisis. RBS said the additional provision would mostly be for a penalty expected to be imposed by the Department of Justice and other agencies over its issuing and underwriting of U.S. residential mortgage-backed securities (RMBS) during the U.S. housing boom of the 2000s. RBS’s total package for provisions related to the mortgage-selling misconduct now stands at $8.3 billion. At a press conference today, Samsung officials said exhaustive tests on tens of thousands of devices and batteries had ruled out any problems with the device’s hardware or software. Samsung confirmed what everyone knew, namely that it was a battery fault. Internal and independent investigations had “concluded that batteries were found to be the cause of the Note 7 incidents”. 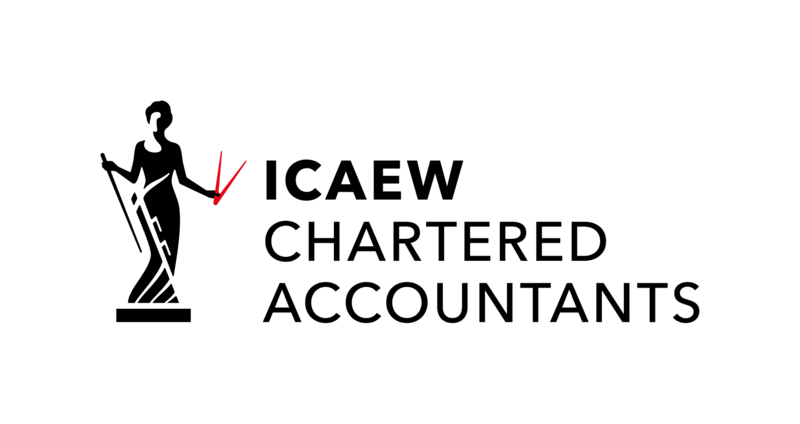 In the case of the original battery, the casing was too small, causing it to short-circuit and ignite. It was replaced with a battery that had a different manufacturing defect but led to the same result. The company said there would be no fire risk involving future devices. Meanwhile the heir to the Samsung throne, Lee Jae-yong, faces the prospect of arrest as prosecutors have accused him of making bribes worth millions of pounds to a close friend of South Korea’s president. Pretty positive statement from Schauble at @wef on ability to do new trade deal to minimise damage to both EU and U.K.
ONS statistics released today show that unemployment in the UK fell by 52,000 to 1.6 million in November, the lowest number since 2006. In the three months to November, unemployment continued to decrease after hitting a 10-year low in October last year. The UK now has one of the lowest jobless rates in Europe at 4.8%. The employment rate is now 74.5%, up from 74% in the previous year. Average earnings increased by 2.8% in the year to November, a 0.2% increase on the previous month. Where is the much vaunted post Brexit apocalypse? Xi is making a skilful pitch at Davos #WEF17 to make China the champion of free trade and globalisation, and to replace the Dollar with the Yuan as the global reserve currency. In its latest World Economic Outlook, the IMF said it now expects the UK economy to grow by 1.5% this year, marking a 0.4% upward revision to forecasts made in October. "A stronger-than-expected performance during the latter part of 2016"
So much for the post Brexit financial apocalypse predicted by the Remainders!